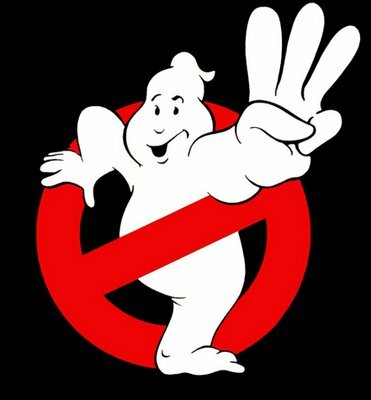 Ghostbusters writer and original star Harold Ramis has commented as to the status of Ghostbusters 3.
word from Ramis is that the film will in fact be shooting in the Summer of 2010 , releasing sometime in 2011. Ramis said, "Something’s going to happen. Dan [Aykroyd] did write a spec GB3 screenplay a few years ago, but no one was motivated to pursue it. Now, 25 years after the original, there seems to be some willingness to proceed and apparently a substantial public appetite for a sequel. We’ll introduce some new young Ghostbusters, and all the old guys will be in it, too. Think Christopher Lloyd in Back to the Future … GB3 is progressing with plans to shoot next summer and release in 2011 …." Director Joseph Kosinski and producer Sean Bailey will remake Disney's 1979 sci-fi film The Black Hole. This new version will be a "reinvention" (or a reboot or whatever you want to call it) and is being written by Travis Beacham, who worked on the Clash of the Titans script. Another new comic book adaptation in the works. THR announces that Scarlet Fire Entertainment will produce a feature adaptation of Dare Comics' series The Hunter. Written by Adam Hamdy, The Hunter is about a CIA agent named Gabriel Mot with extraordinary powers. He's tasked with finding those responsible for coordinated attacks on America, and reveals a hidden world of dark beings with tremendous destructive powers. "In a world where monsters walk the Earth, nothing is what it seems." Sounds a bit like the B.P.R.D. or something Guillermo del Toro should direct. Hamdy will create an original Hunter story for the movie. "We're extremely pleased to be working with Scarlet Fire," said Hamdy, who founded Dare Comics. "They understood The Hunter immediately, and saw in it the potential to create a compelling new universe that loyal fans and newcomers alike will love seeing come to life on the big screen." Scarlet Fire's Steven Pearl and Allan Loeb, the co-writer of 21 and Wall Street 2: Money Never Sleeps, will produce along with Hamdy. "He's succeeded in building a new superhero brand virtually single-handed in a market that is dominated by big companies with very deep pockets," Pearl said. After years of being tossed around, a remake of Fantastic Voyage seems to be readying for launch. The 1966 original starred Raquel Welch as a member of a medical team shrunk to microscopic size and injected into the bloodstream of an ailing scientist. Originally announced as a sequel way back in 1997, the new project is being helmed by writer-producer Roland Emmerich in partnership with James Cameron's Lightstorm Entertainment. Robert Zemeckis is planning yet another Christmas-themed motion capture movie. The director of The Polar Express, Beowulf, and A Christmas Carol is considering a 3-D animated adaptation of E.T.A. Hoffmann’s original novel, “The Nutcracker and the Mouse King.” According to Pajiba’s source, it will not be a re-creation of the Tchaikovsky ballet. Instead it will be a period piece set in 19th century Russia about the origins of the Nutcracker and the battle between the dolls and the mice.